Party like Great Britain: It's Guy Fawkes Day! Party like Great Britain: It’s Guy Fawkes Day! If you chose to be Guy Fawkes this Halloween, don’t ditch your mask yet! Even if you don’t have a mask, you can celebrate Guy Fawkes Day with traditional bonfires, mulled wine, and by burning effigies. But why must we “remember, remember, the 5th of November”? Who was Guy Fawkes, and why is Guy Fawkes Day considered a public day of thanksgiving in Great Britain? We’ll give you the rundown of the quite fascinating history behind this historic day, courtesy of the History Channel. Born in York, England in 1570, Guy Fawkes fought against Protestants for Spain in the Netherlands. He was a Catholic dissident who felt threatened under the Anglican rule of King James I, who in 1604 publicly disapproved of Catholicism, and even called it superstition. 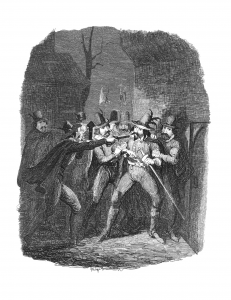 A cross Fawkes assembled with four (later to be twelve) other Catholic dissidents at the Duck and Drake Inn in London, England, giving their word of honour to take down the Houses of Parliament by explosive gunpowder. Fawkes had even petitioned himself the king of Spain for assistance to rebel against King James I. After he and his cohorts decided to go through with the plot, he began using the alias John Johnson (did no one find that suspicious?) to work as a caretaker of the cellar directly beneath the House of Lords. Clearly, Fawkes was a plucky conspirator, but he didn’t work alone. 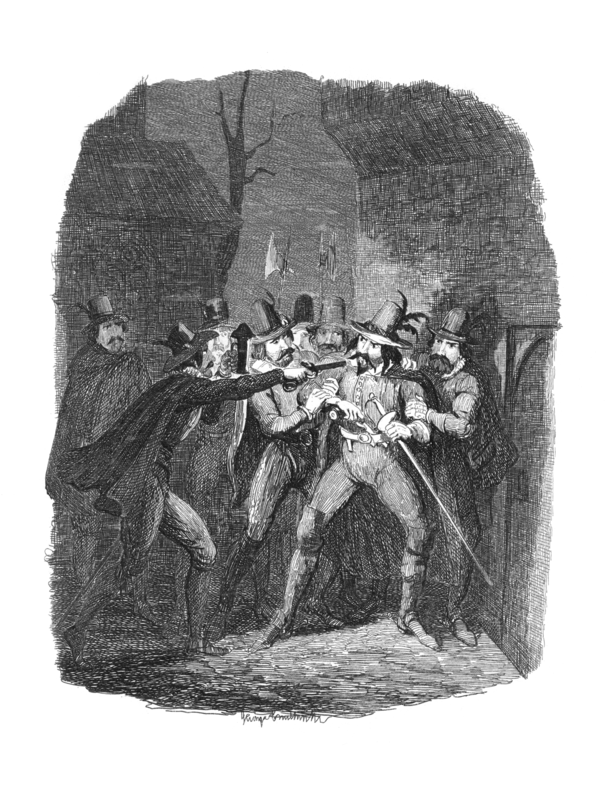 There were thirteen total conspirators involved in the Gunpowder Plot to blow up the Houses of Parliament, some of which are: Robert Catesby, Tom Wintour, Jack Wright and Thomas Percy. Even though Robert Catesby was the real gaffer of the bunch, Guy Fawkes has stolen the show for the last 400 or so years. However, he was the mastermind behind the plot, which was to blow up the House of Lords and House of Commons on November 5th, 1605, when King James I and his son would be present for the opening of a new session of parliament. Fawkes would then escape by boat across River Thames, the other conspirators would start a rebellion amongst the English midlands, and King James’ daughter Elizabeth would be captured and married off to a Catholic to restore a Catholic Monarchy. Guy Fawkes didn’t succeed in his plot to restore a Catholic monarchy. Seems like a cheeky plot, right? Clearly, it didn’t work. In fact, a week before the plot was to be carried out, an anonymous letter warning a Catholic supporter to stay clear of Parliament on November 5th clued authorities in on the scheme. No one knows who wrote the letter, but a search party found Guy Fawkes in the cellar beneath the House of Lords with matches in his pocket, and 36 barrels of gunpowder. He and his surviving cohorts, the ones who didn’t die in a shootout with authorities, were arrested and hung in January 1606 for high treason. Celebratory bonfires were lit as soon as the plot was revealed, and in January of 1606, British parliament declared November 5th as a day of thanksgiving. Even the American colonies adopted the celebration, where it was known as “Pope Day”. In those days, effigies of the Catholic pope were burned to observe the holiday. However, by the 19th century, this anti-Catholic tradition completely died out, and it became known as it is today: a day to have a bonfire, drink some mulled wine, and jokingly burn effigies. AESU offers unique, smashing travel programs for college students and young professionals at affordable rates. Each trip is action-packed and informal—designed just for people your own age. We are also able to design custom tours just for your group. AESU offers several trips to England, UK, including: Cosmopolitan, Explorer, Euro Focus, Great Escape, and Euro Spree. All our tours in England have the chance to go to London to see where history was made. If you have any questions or want help booking your England adventure, please contact AESU by calling 800-638-7640, or fill out the contact form found on our website. This entry was posted on Thursday, November 5th, 2015	at 3:40 pm	. You can follow any responses to this entry through the RSS 2.0	feed. Both comments and pings are currently closed.